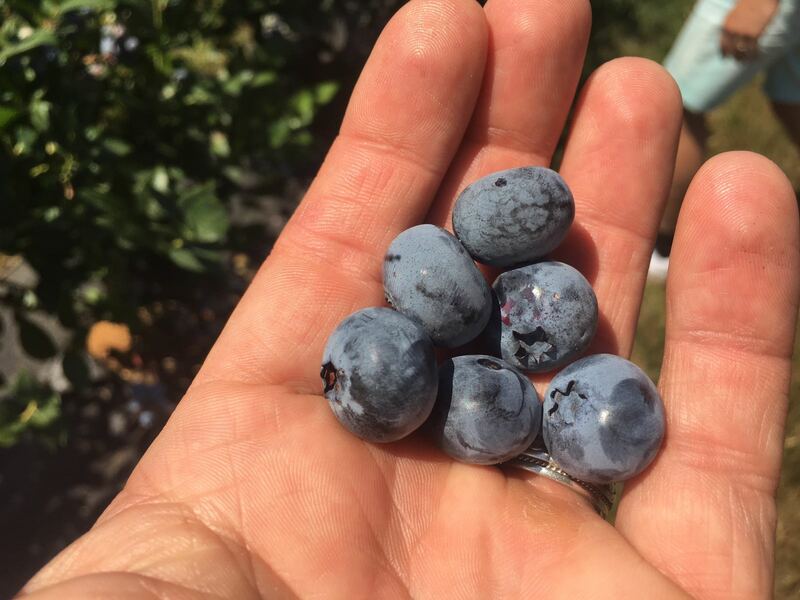 Some members of our Fall Creek's Sales & Grower Support Team called on one of our customers yesterday - a blueberry grower in western Oregon's Willamette Valley. One of the highlights of this farm visit was seeing one of newest launches Valor™ 'ZF08-070'. 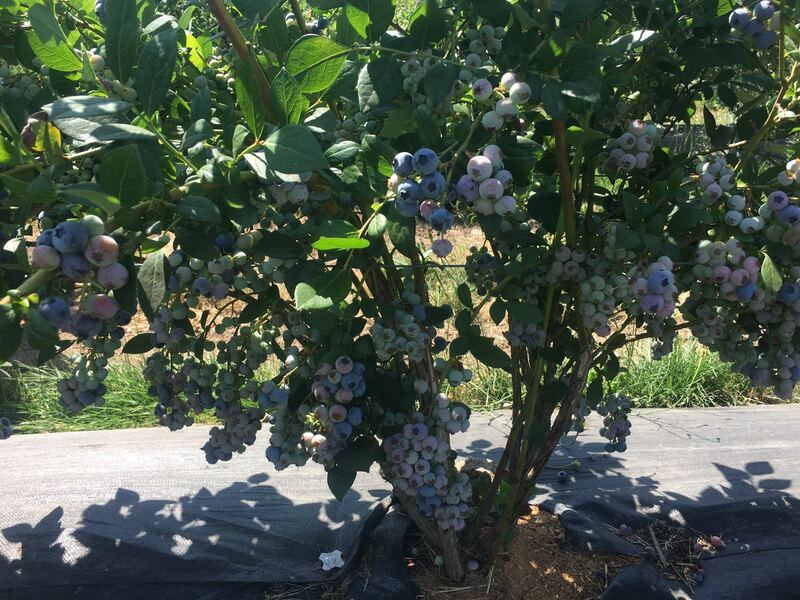 This recent release is a very promising new high chill blueberry - a standout for its vigorous growth, large-sized fruit, high-yield potential and cold-hardiness. Growers who have been trialing this new blueberry are commenting on its relative ease of picking. Valor™ 'ZF08-070' has large to very large berries, uniform fruit, medium firmness and a very sweet flavor when allowed to fully ripen. The bush habit is upright and vigorous. We believe Valor™ 'ZF08-070' will potentially serve growers growing for fresh and/or processed use. If you're a grower interested in learning more about Valor™ 'ZF08-070' or if you're interested in trialing these plants in your growing operation, visit our website and contact the Fall Creek representative listed for your region. Or fill out the inquiry form on our website and the representative for your region will contact you promptly. NOTE: Fall Creek always recommends that growers trial new blueberry introductions in their own fields. Valor™ 'ZF08-070' is a newer introduction from Fall Creek that has been in R&D trials for some time but has had limited commercial trialing to date. Talk with our team to learn more. Quantities available may be limited.